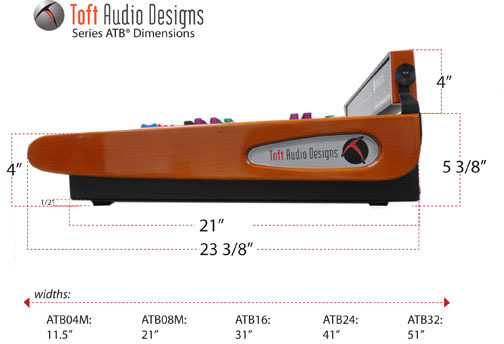 The Toft ATB Series Console is loaded with a master control section only seen in more expensive, high-end recording consoles. 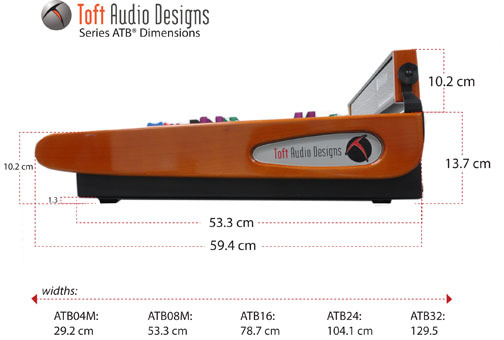 The ATB features everything from the super accurate meters, wide-range of routing capabilities, talkback function, to the eight-bus mixdown section. 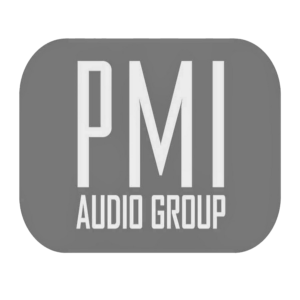 From top to bottom, you have everything you’ll need to take control of your mix and produce the best possible recording. The routing capabilities of the Series ATB allow you to integrate all of your favorite outboard gear into your recording setup.